Posted: Tue Sep 26, 2017 5:20 am Post subject: Re: Introduce Yourself Here!!! Welcome Jon, what part of the state do you hail from? Posted: Tue Sep 26, 2017 8:38 am Post subject: Re: Introduce Yourself Here!!! Hey guys, I'm Jon and I own a '12 FJ. See you around all. Can you share any more details about you and your rig? Posted: Thu Oct 05, 2017 12:43 pm Post subject: Re: Introduce Yourself Here!!! 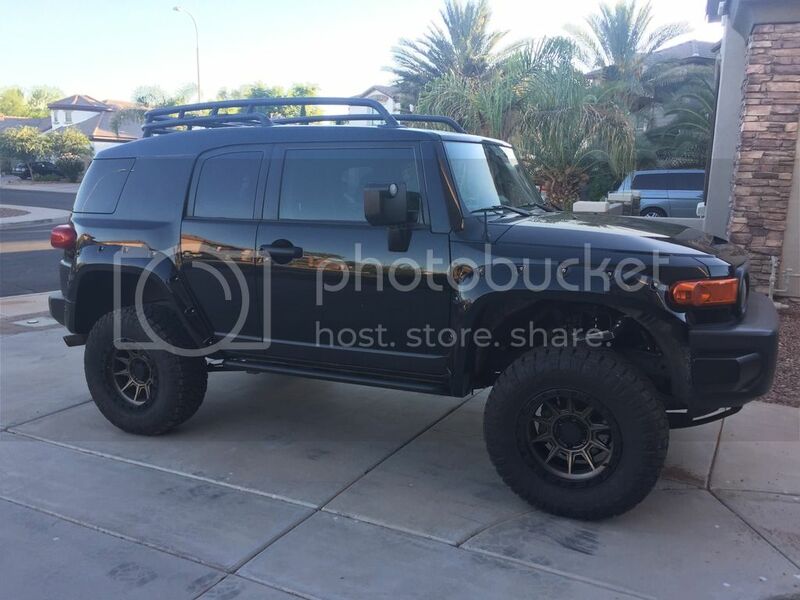 Hello everyone, I’m Daniel and I’m a new FJ owner in Scottsdale. I have had my 2007 FJ for about 5 months. 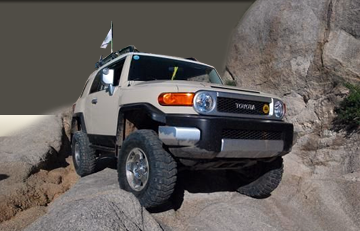 I now spend most of my weekends and money working on upgrades for my FJ. I’m looking forward to hitting some trails this year. Also if anyone has any recommendations on how to fix steering wheel shimmy- any advise would help!! Posted: Mon Dec 11, 2017 11:58 pm Post subject: Re: Introduce Yourself Here!!! Hey everyone, new to the forums and just picked up 07 FJ back in April of this year. I’ve been adding incremental mods since. Hope to see you around! Posted: Tue Dec 12, 2017 9:09 am Post subject: Re: Introduce Yourself Here!!! Posted: Tue Dec 12, 2017 2:02 pm Post subject: Re: Introduce Yourself Here!!! Posted: Tue Dec 26, 2017 11:20 pm Post subject: Re: Introduce Yourself Here!!! Posted: Mon Apr 30, 2018 7:28 pm Post subject: Re: Introduce Yourself Here!!! Hello everyone. 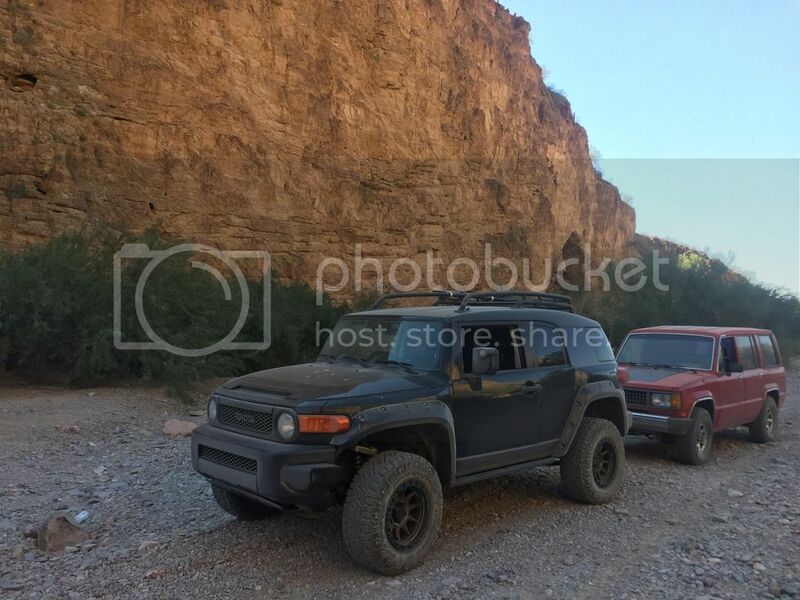 My name is Nick, live in Peoria, and drive a fairly stock 07 FJ, it's a slow build since I spend most of my time away. Posted: Mon Apr 30, 2018 10:27 pm Post subject: Re: Introduce Yourself Here!!! Posted: Wed May 02, 2018 5:30 am Post subject: Re: Introduce Yourself Here!!! Posted: Wed May 02, 2018 6:30 am Post subject: Re: Introduce Yourself Here!!! Posted: Fri May 04, 2018 10:19 am Post subject: Re: Introduce Yourself Here!!! Welcome Nick, feel free to PM should you ever make it up to FLG. Posted: Sat May 05, 2018 2:01 am Post subject: Re: Introduce Yourself Here!!! And I have no patience, so slow build are hell to me. Posted: Sun May 06, 2018 4:42 pm Post subject: Re: Introduce Yourself Here!!! Hi there!, I am Vaughn and I have a 2007 Titanium named the Talon, aka The Battlestar Talon. I am still new to the FJ world. Will post pics soon as I figure out how. Posted: Sun May 06, 2018 4:44 pm Post subject: Re: Introduce Yourself Here!! !